The UI of the Charter cable box made Time Warner Cable's UI look like it was from the year 2020. Truthfully, I feel that the UI for the Charter boxes was created at least 10 years ago. Keep in mind my box is an HDMI box, so there is really no excuse, since HDMI is relatively new. Message to Charter: Update the the user interface on your boxes, make it pretty! 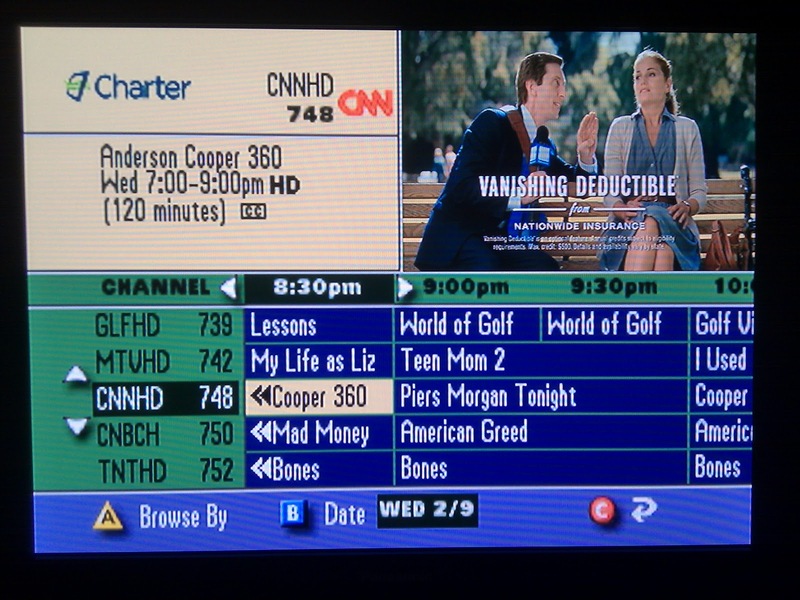 I work for DISH Network and understand completely where you're coming from with the interface aesthetic problems. I had COX and it was ARCHAIC!! I hope you're having more success with Charter, but if you're ever in the market again check out DISH. You don't have to sign a contract, the UI is state-of-the art and we have outranked Charter 10 yrs running in Customer Service (Currently #1). Dish.com if you're ever interested! Best of luck! Thanks Erik. I will definitely check out DISH Network when the Charter promotional discount is up. I'm glad to hear they do not have a contract and a have top rated customer service. I work for charter and customer service is not bad. Also yeah I agree the ui is ugly at least you dont lose signal from a little storm an charter has much better packages. You cannot beat our bundles either. My suggestion. If you live in an area that you can get cable then it is pointless to even consider any satellite company. I have read charter spectrum review and I find one of the best services of cable TV and Internet in the USA. So I will only recommend you charter spectrum Cable and internet.